The Foxes and Ramirez will host an auction with 100% of the proceeds going to the family of Fresno FC U-23s player Moises Martinez. Moises Martinez suffered a brain aneurysm on October 16th and underwent emergency surgery at UCSF-Fresno, where he is currently on life support. Martinez, 24, grew up in the Central Valley, graduating from Selma in 2013 where he lettered three years in boys soccer, winning a Valley championship in 2011. 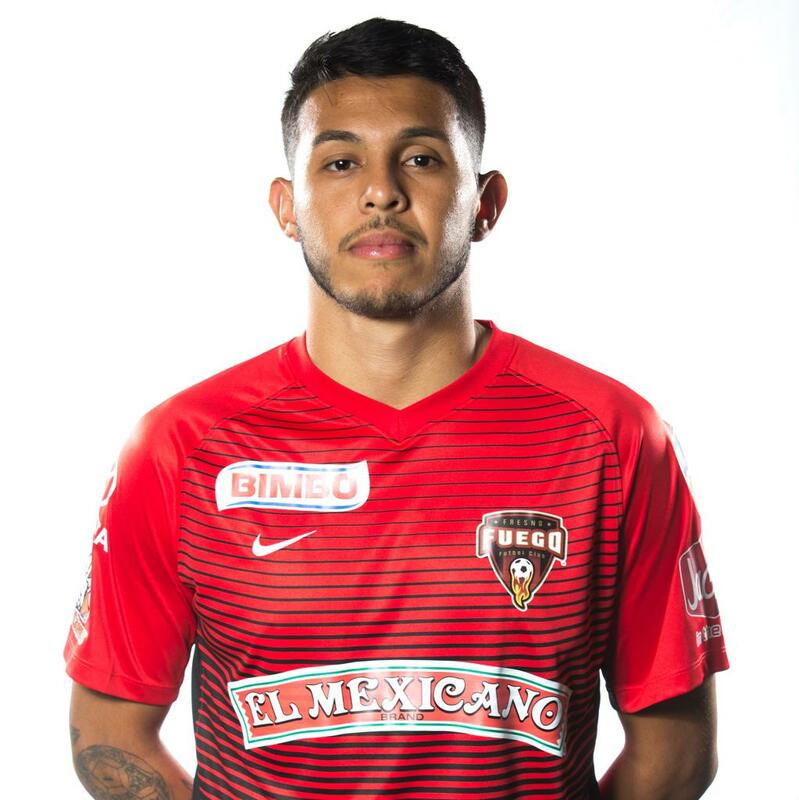 Moises played two years at West Hills College, two with Fresno Fuego and this season as part of the Fresno FC U23s training roster. Donations can be made online via GoFundMe. 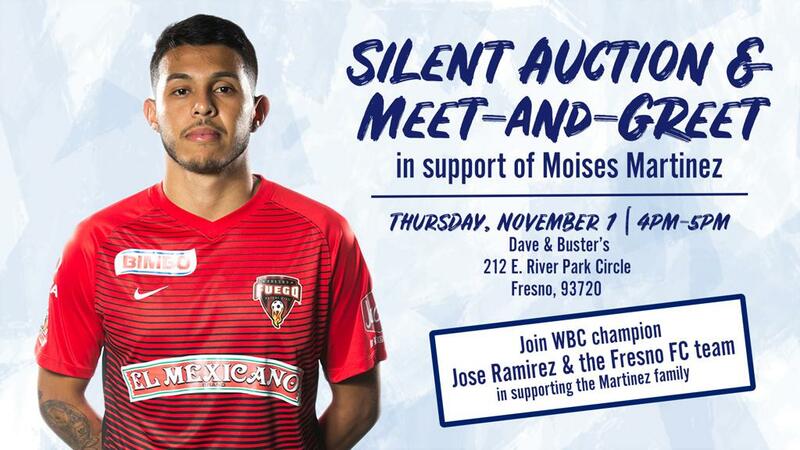 FRESNO, Calif. – The Foxes organization, WBC champion boxer Jose Ramirez, and the local Dave & Buster’s, have gathered to assist the family of Moises Martinez through a silent auction and meet-and-greet event this week. The auction will consist of a Fresno FC-autographed jersey and ball, as well as a pair of autographed gloves from Ramirez, a 16-by-20 signed photograph from Jose Ramirez’s WBC title fight in September, and a signed official fight shirt from Ramirez’s bout at Madison Square Garden. All the items will be auctioned as one item, with all of the proceeds going to the Martinez family. 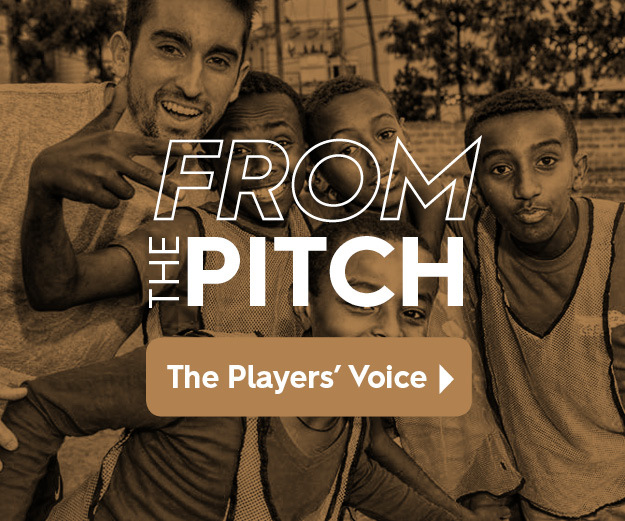 "When I heard Moises’ story, it made me want to get something done immediately to help, so I called Jose [Ramirez] and my friends at Fresno FC. This young man from the Valley reminded me a lot of Jose," said promoter and Jose’s manager, Rick Mirigian. Bids can be placed by calling the Fresno FC office at 559-320-2525 or by emailing rmirigian@gmail.com. The auction will close Thursday, Nov. 1st at 2 p.m. Following the auction period, the Foxes and Jose Ramirez will host a free meet-and-greet at Dave & Busters in Fresno from 4 p.m. to 5 p.m., as well as collect more donations for the Martinez Family. Moises’ story has already made local and national headlines, with coverage from The Fresno Bee, ABC 30, and NBC Sports. The local community has already surpassed the initial fundraising goal of $15,000 on GoFundMe set up by Moises’ childhood friend Cristian Espinoza. Donations are still being collected online, at www.gofundme.com/moises-martinez.